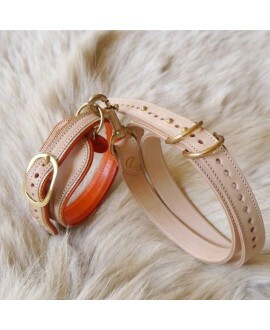 The bracelet version of our Famous dog collar. An original bracelet with an asymmetric design and stylish finishing touches. 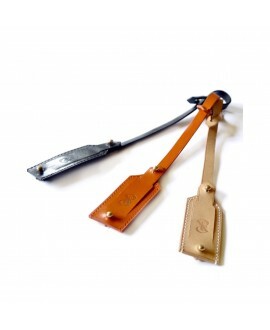 This product is made in a leather-goods atelier by Compagnon du Devoir master craftsmen. It requires traditional, high-quality know-how and takes time to be produced. 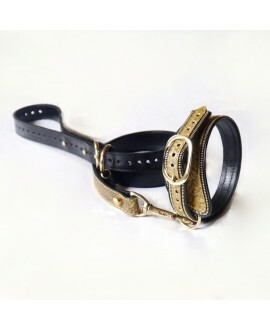 * Vegetable-tanned leather is leather that has been tanned with vegetable matter. As such it is more respectful of the environment and does not cause allergies in animals (it is greatly used in saddlery). Vegetable tanning guarantees a beautiful patina over time.